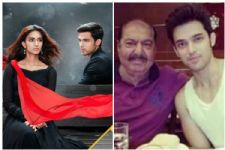 #OnlineTRPToppers: 'Kasautii 2' makes a COMEBACK; 'Yeh Un Dinon..' is UNSHAKEABLE! 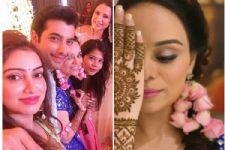 Check out which shows topped the Online TRP charts this week. Take a look as we list down the shows that were most viewed by the audience online. Not many shuffles to look into this week but certainly a few to pay attention to. A small surprise and your daily members sustain their spot. The 10th spot continues to belong to Bhabhiji Ghar Par Hai for the third week consecutively. With a meagre 9.0 points, the show is lucky to still be in the list. 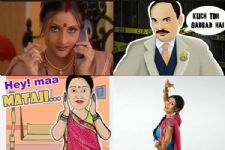 Also maintaining the 9th position from last week is Taarak Mehta Ka Ooltah Chashmah. It indeed lost quite some numbers to 11.5 points but it did not result in a loss of spot. Yeh Rishta Kya Kehlata Hai lost some numbers again and the same resulted in a one-spot drop to the 8th position with 13.5 points. Also falling from last week is Yeh Hai Mohobbatein. Not only did it lose 2 spots to the 7th spot but also a lot of numbers to 15.5 points. With fellow Star Plus shows falling, Kullfi Kumarr Bajewala witnessed an upward trend to the 6th position with a decent 18.8 points. Ishq Mein Marjawan lost only a few numbers to 21.4 points but that resulted in a one spot drop to the 5th spot. 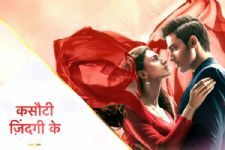 After suprisingly falling last week, Kasautii Zindagii Kay 2 is back in the top half at the 4th position with a great 25.5 points. Sustaining its 3rd position from last week is The Kapil Sharma Show Season 2 even though it lost some numbers at 28.3 points. Also maintaining its 2nd spot from the past week is Naagin 3, where the show pretty much fetched the same numbers at 31.3 points. Continuing at the top spot is Yeh Un Dinon Ki Baat Hai for the third week running as the show grabbed 32.0 points. It indeed was a lackluster week in terms of some positioning of shows and the Top 3 did not budge too. Let's see if things change considerably last week. Yeh Un Dinon Ki Baat Hai is the best. Ashi Singh and Randeep Rai are awesome. Stylish beautiful doll Nia Sharma...!!!! Very true Yeh Un Dinon Ki Baat Hai is unshakable... Bcoz of its unique story and talented actors and script. Loving this show.